Explanation: Friday, an old Moon smiled for early morning risers. 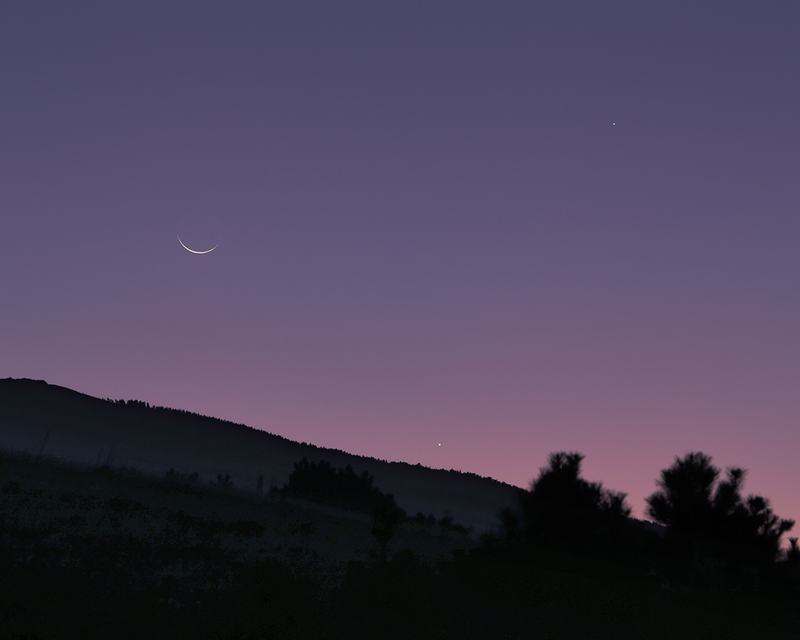 Its waning sunlit crescent is captured in this atmospheric scene from clear skies near Bursa, Turkey, planet Earth. In the subtle twilight hues nearby celestial lights are Jupiter (top) and Venus shining close to the eastern horizon. But today, Saturday, the Moon will be new and early next week its waxing crescent will follow the setting Sun as it sinks in the west. 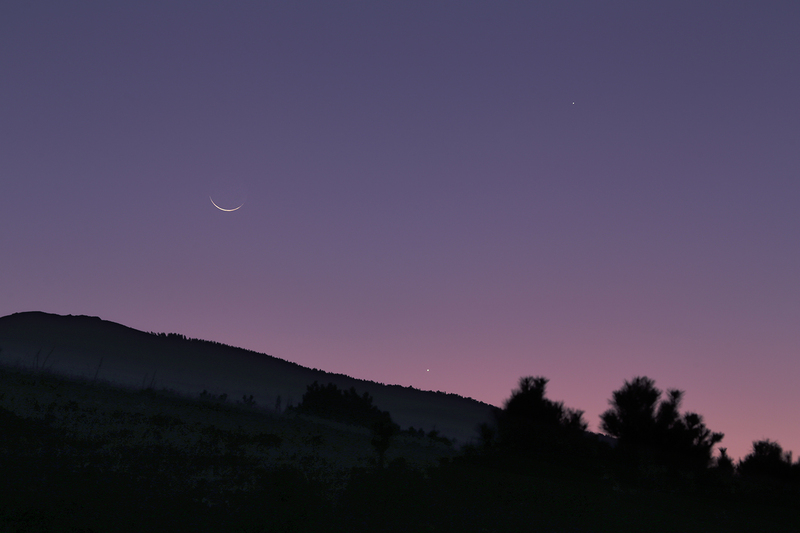 Then, a young Moon's smile will join Saturn and Mercury in early evening skies.